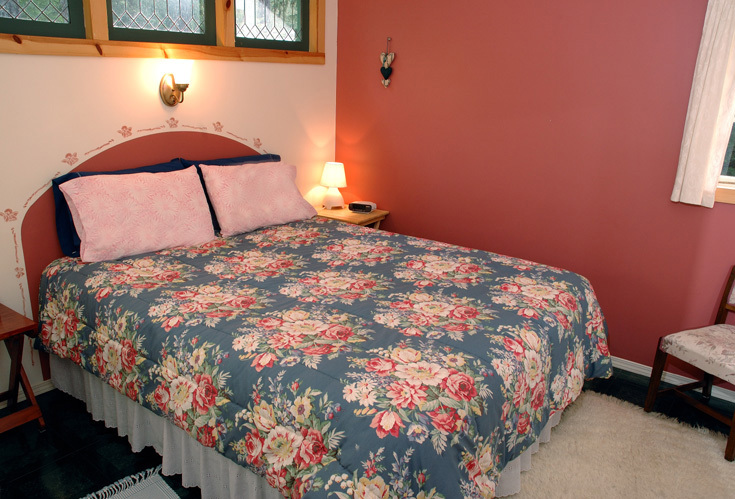 Honeysuckle Cottage is a sunny, self-contained one-bedroom retreat cottage that offers island peace and tranquility. 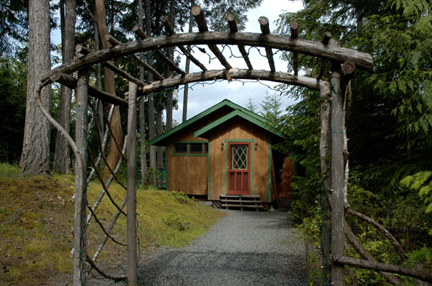 The cottage is set on five quiet acres on the north end of Salt Spring. The cottage includes a queen bed, living room area, fresh breakfast foods, WiFi, library of books and magazines and a sun deck. 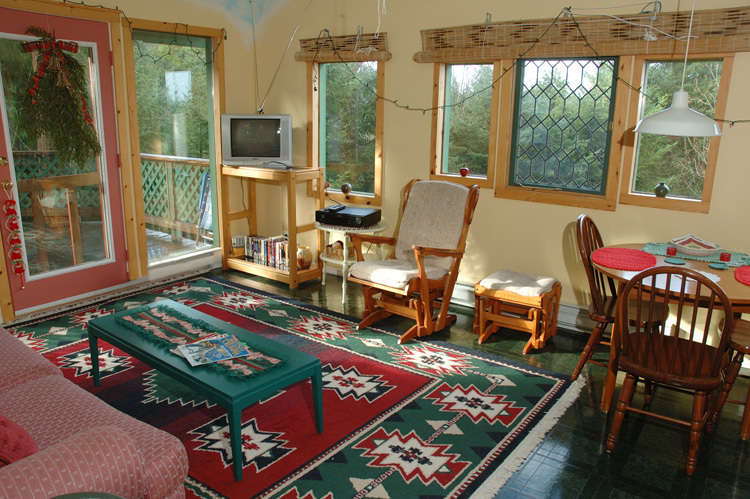 The cottage can be rented when you are attending a SAORI weaving retreat. Please see our website for more specifics. You can walk to a nearby farm, local gallery or to the waterfront. Several nearby trails offer easy or challenging walks. We also offer group or individual SAORI freestyle weaving retreats at our on-site studio and photography retreats with a professional photographer both customized to suit your schedule and needs.